Hotel Vrinda Comfort Hotel takes pride in being a gourmets’ paradise. With a view to meet diverse gastronomical requirements of national and international guests, Hotel Vrinda offer a range of vegetarian cuisines, ranging from local to continental. Use of traditional spices and vessels produce ambrosia of flavors. Hotel Vrinda’s breakfast menu includes everything from the traditional Rajasthani favourites to international dishes. For lunch and dinner, one can choose from a wide range of delicious vegetarian food items. Be it an early breakfast or a late snack our room service menu is always ready. NAVIDYA a multi cuisine restaurant is favoured by those who want to fine dine with elegance and delicious food. 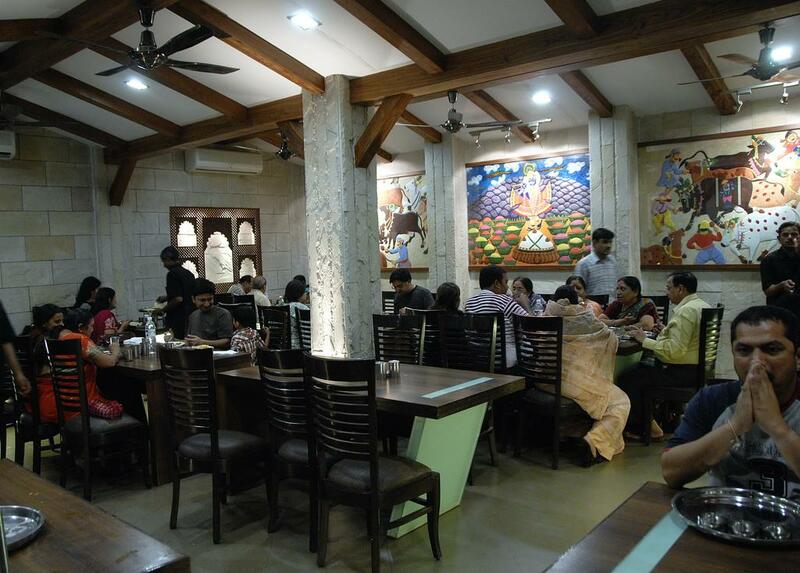 Cuisines of various specialities such as Indian, Chinese, Continental and Rajasthani specialities are served here. CAFE BLANCA a 24 hours coffee shop is at your service to have multiple choice of coffee and snacks and beverages . SYNERGY SQUARE a multi purpose hall to cater up to 200 persons for socialized gatherings, ceremonies, meetings etc. Disabled Facilities, Travel Counter, Baggage Storage on Request, Complimentary Newspapers in Lobby, Currency Exchange, Party Hall, Family/Child Friendly, RO Water Purification System, Parking, Smoking Rooms. Iron/Ironing Board, Television Room, H/C Water, Complimentary Newspaper, Air Conditioning Room, Dustbins, Cable/Satellite TV, Wakeup Calls, House Keeping, Smoking Rooms. User reviews for "Vrinda Hotel Udaipur"